The main event of the evening should result in an incredible fight. 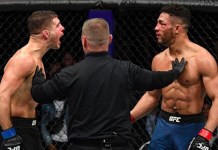 That said, if Bisping were to get demolished by “The Phenom” in the first few minutes of the opening round, I wouldn’t be completely shocked. Vitor has the advantage in terms of hand speed and knockout power. However, it is my opinion that if Bisping can survive the opening onslaught from Vitor, he will go on to win the fight by decision. Bisping has been ever improving in the stand-up game, he has solid wrestling and what appears to be a never ending gas tank. 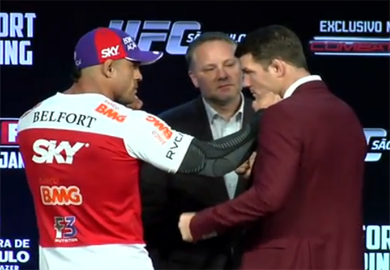 If Bisping utilizes a pressure style game plan against Vitor, I believe he can wear him out on route to a decision win. Ben Rothwell looked very impressive in his KO victory over Brendan Schaub at UFC 145 in Atlanta. The heavyweight veteran appeared to be in much better shape (in comparison to his past bouts), which he credited to a new training regimen and lifestyle changes. Meanwhile, the once retired Gabriel Gonzaga scored a submission win in his octagon return, tapping out Ednaldo Oliveira at UFC 142. I would give an edge to Rothwell in the stand-up game, but I think it will be the grappling of Gonzaga that will be the key factor in this contest. 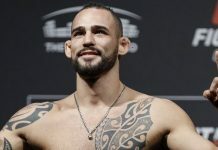 I believe Gonzaga will be able to keep the fight competitive on the feet, which will lead to an eventual takedown and perhaps a submission for the Brazilian. C.B. Dollaway got back in to the win column at UFC 146, as he defeated Jason Miller via unanimous decision. 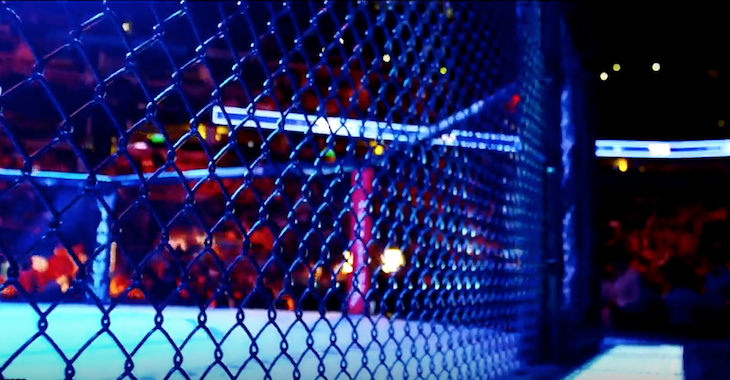 “The Doberman” now looks to win back-to-back fights for the first time since 2010. That will be easier said than done when he faces TUF: Brazil middleweight Daniel Sarafian this Saturday. Sarafian is a very well-rounded fighter who packs big power in his punches. The thing with Dollaway is he is basically a one-trick pony, he is a terrific wrestler but that is basically the extent of his skill set. I think Sarafian will be able to negate Dollaway’s takedown attempts and will end up putting “The Doberman” to sleep at some point in the second round. Khabib “The Eagle” Nurmagomedov is a 24-year-old Russian fighter. He holds a black belt in Judo and is an International Master of Sports in Combat Sambo. Nurmagomedov has stuffed all 10 takedown attempts from his previous UFC opponents and I believe that his takedown defense will be the key factor in this fight with Tavares. Thiago Tavares has reeled off two straight victories, defeating Sam Stout and Spencer Fisher in the process. 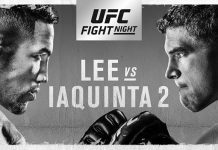 Tavares does his best work on the ground but it is my belief that he will be hard pressed to get this fight with “The Eagle” to the mat. Neither Kamal Shalorus or Gleison Tibau were able to score a takedown against the young Russian, so I find it hard to believe that Tavares will fair any differently. UFC on FX 7 takes place Saturday at Sao Paulo’s Ibirapuera Gymnasium. The event airs in the U.S. on FX following the prelims on FUEL TV and Facebook. Who do you see winning on this weekends Main Card? Let’s hear it Penn Nation!